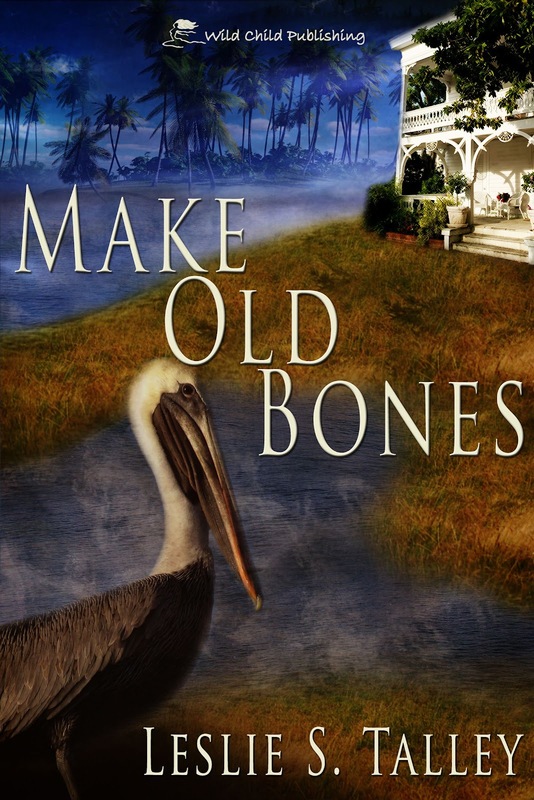 Please help me welcome, Leslie S. Talley, author of Make Old Bones. 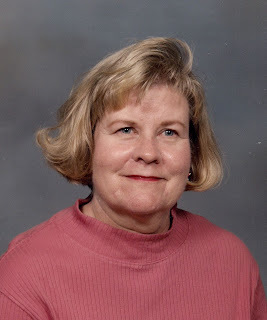 Leslie is the mother of Terri Talley Venters who was my guest last week. It's wonderful to have a mother/daughter team published together. Leslie and her husband Luke have two children: Terri Talley Venters, Wild Child Publishing author of Carbon Copy, and Damon Talley, education specialist in aerospace. Forty-four-year residents of Titusville, Florida, Leslie and Luke also have four grandchildren. Fifteen-year-old Connie Kittredge disappears in 1953, presumed drowned, in Daytona Beach, Florida. Almost forty years later, her skeleton is discovered in the disused dumbwaiter of historic Belgrath House, situated on an island in the tidal Halifax River. The discovery coincides with the thirty-five year reunion of Connie's Class of '57. Clarice and Otis Campion function as caretakers of Belgrath, newly restored and opened as a B & B. Clarice, along with their permanent guest Miss Letty, ninety-year-old star of the silent screen, decides to investigate the mystery. Could the murderer be one of Connie's classmates, now respectable citizens? A rejected boy friend? A jealous girl? Connie, a sneaky child, loved the power of finding out secrets; perhaps she found one just too dangerous for her to live. At a wake for Connie held at Belgrath House, someone collapses from iced tea laced with cherry laurel, proving that the murderer is still around - and dangerous. Complications cloud the picture in the form of suspicious bed and breakfasters, restoration society members, University of Florida freshmen...and a certain pelican. Clarice and Miss Letty re-double their efforts at sleuthing. The death of Connie Kittredge is tied directly to the history of the house, they learn. The house will ultimately reveal its secrets, but not before exposing Clarice to danger. Inadvertently left behind during a forced evacuation due to Category Four Hurricane Aphrodite, Clarice finds herself confronting a killer - and a rising tidal surge. What would the children think if they saw her? She thought of the others that way: children. Why did she still bother with them? Not much longer, she thought. An idea sprouted in her brain. Why not scare them? Hide. Don’t come out. Let them think some Bogeyman found her. She knew just the spot, too. She found it the previous week, the same trip that secured for her the piece of map. She came to the house by herself – well, actually to meet someone. Someone who didn’t show up. But he would. Oh, yes! And that other she’d seen – Connie hugged herself as she thought of the power. Stubbing out the cigarette in the stone urn on the post, Connie groped her way to the kitchen at the rear of the house. Gleefully, she opened the door of one of the pantries. She ran her hand along the wall until she found the knob. She remembered that it looked just like one of the other cabinets. She wedged herself inside the tiny space: a miniature elevator. Perfect. They’d never look for her here. Best of all, she needn’t go near the third floor. The jolt jarred her, tipping her over so that her head rested on the doorframe. A hollow noise reverberated down the shaft. Slowly her crawlspace moved…upward. Thanks for hosting my mom, Carol! Your welcome, Terri, it's a pleasure. Make Old Bones sounds like a great read and is definitely on my list. Congrats, Leslie. Thanks for hosting me on your blog! I appreciate it. Are you a descendant of the English poet Andrew Marvell? As an English major I had to ask!